These proteins, first identified in cells subjected to heat, are very important under many stressful and non-stressful metabolic conditions. They maintain proper protein function and, importantly, prevent the inappropriate accumulation of damaged proteins. For example, accumulation of damaged proteins such as beta amyloid, tau and synuclein are thought to be very important in the development of diseases of the brain such as Alzheimer’s disease and Parkinson’s disease. Aug. 1 in the journal Nature Structural & Molecular Biology, a Health Science Center research team led by Rui Sousa, Ph.D., and Eileen M. Lafer, Ph.D., both professors of biochemistry in the School of Medicine, presented data that show how heat shock proteins break apart protein complexes. They found that when heat shock proteins with molecular weight 70 (Hsp70s) are recruited to protein complexes, rather than simply binding to these complexes, the Hsp70s collide with them and generate a force that dissolves the complexes. Previous attempts to glean this information failed because the proteins studied were too heterogeneous—of too many different sizes, shapes and actions—to isolate the Hsp70 behavior. 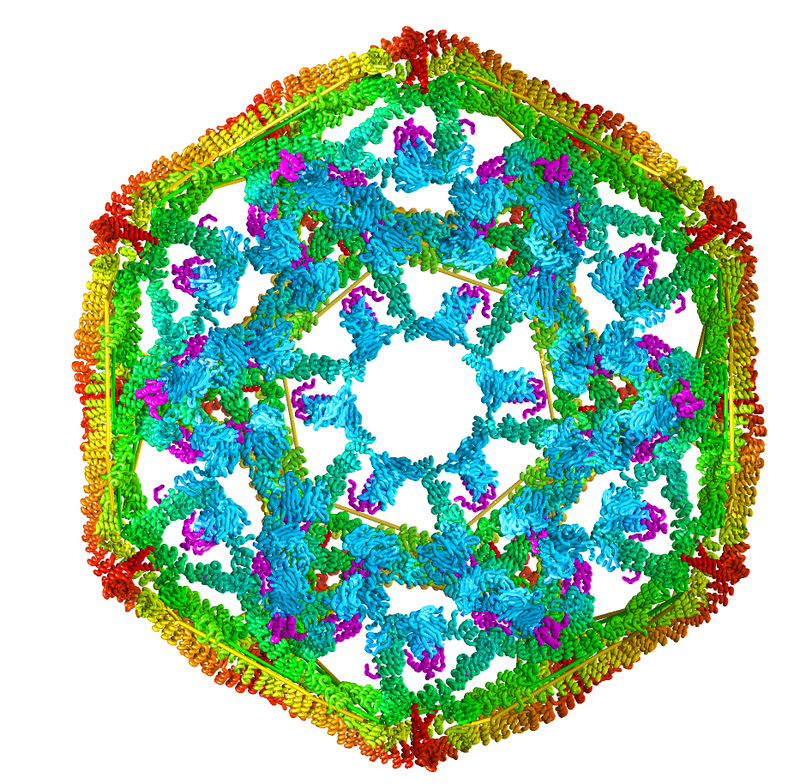 The UT Health Science Center team studied clathrin, a protein that is uniform in size and shape and is important in making intracellular cages that transport other proteins. Previously clathrin was only available from animal specimens, making it very difficult to manipulate experimentally. Dr. Lafer made a technical breakthrough when she was able to grow clathrin in bacteria for the first time using recombinant DNA technology. The clathrin could then be genetically engineered for mechanistic studies. Dr. Lafer grew clathrin “cages”—shaped like microscopic soccer balls—that provided the biological raw material for Dr. Sousa and the team to study the force that occurs with Hsp70 collisions. The clathrin model system could be manipulated to yield precise results. Dr. Sousa gave this analogy of the study: The heat shock protein is like a worker with an ax who, when moved to a wood pile, begins swinging. The wood pile represents a protein complex. The scientists give the worker both thick trees and thin trees to swing at, and spindly wood and hard wood. They change the angle of the wood pile, and every other variable, to learn how this affects the chopping. By making variants of clathrin with recombinant DNA technology, team members were able to manipulate this biological material in ways that allowed them to determine the mechanism by which it is taken apart by Hsp70. Understanding Hsp70 behavior may have relevance to human disease. By increasing Hsp70 function, scientists cured Huntington’s, a neurodegenerative disease, in a fly model. Cancer is another interesting focus. Tumors rely on Hsp70s to survive, so lowering Hsp70 function is a topic in cancer research.